Being a new mom is hard because we run on very little sleep. But here's the thing. Little sleep doesn't just magically disappear once the baby turns 1. I am still dealing with my 2, almost 3 year old and sometimes my 5 year old calling out for me in the middle of the night! Lately I feel like I have Murphy's Mom Law, the moment I start to fall asleep, one of my children call for me. Right now Elyse is waking 3 times a night for a feeding, and Collin at least once. Mason once in a blue moon. It never ends. And with the lack of sleep and going on fumes the next day trying to keep up with my busy brood, I have to stick by some rules to combat reaching for the sweets to get me through the day! 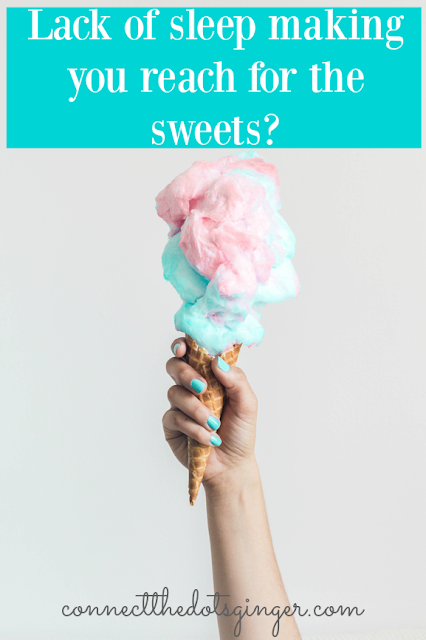 WHY DO WE REACH FOR SWEETS OR TREATS WHEN WE ARE LACKING ENERGY? BECAUSE sweets and sugar, glucose, is a FAST BURNING energy source. And we have trained our body to want sweets and treats and carbs to help give us energy fast because it does. That is why within minutes you feel that pick me up in energy after eating a Snickers. Most of the commercials for Snickers are actually about this if you think about it. They show someone grumpy, hangry, tired, and they have a snickers and BAM! FULL OF ENERGY! Because they body is taking that glucose and burning it faster than a burning sparkler at the 4th of July. I did a live video in my FREE online support community which you can CHECK OUT HERE! 1) DON'T HAVE THE SWEETS IN THE HOUSE! If you are struggling with learning how to cut sweets the first step is to stop buying them. DECIDE NOW that you are done with them. Make a commitment to yourself that you are done! Finish what you have now. But then just don't buy them any more, or at least as often. Often times the sweets end up in the house because our spouse or partner wants them. Snacks for kids. Or leftovers from a get together. But now it is time to ditch the sweets. Talk to your spouse about how you are struggling with the sweets and agree together that you won't be bringing them into the house as often any more. If you have extended family in your house and they are the ones bringing it in, talk to them too! Let them know your struggle. They should want to support you. Ask them to keep their sweets or treats in their own room, or on a specific shelf that isn't yours but their own. Sounds silly, but it needs to be done if you want to stick with your goals. 2) MEAL PLANNING! 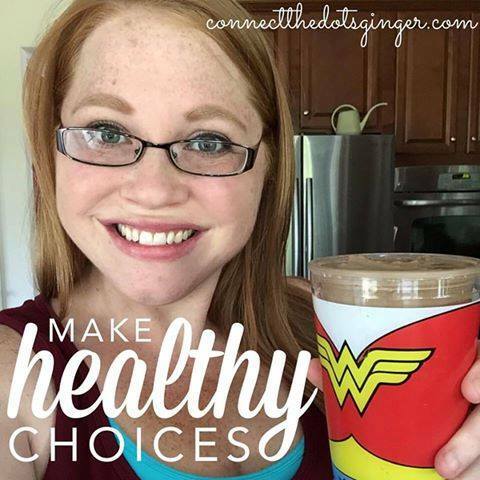 When you meal plan you will have healthier choices in your house. You will know exactly what you are eating for what meal and you won't have the cravings as much for sweets as you think. 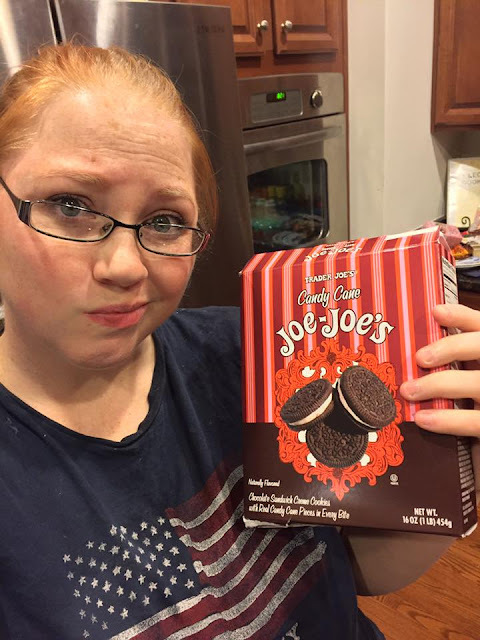 Following the 21 Day Fix Eating Plan, you are eating the right kinds of foods. You are eating the right portion of foods, you won't be left hungry. And when you combine that with Shakeology, that helps to cut the cravings too. Because your body is truly getting all the right types of fast and slow burning foods it needs to help you feel satisfied and sustained. Cravings just don't happen when you are feeling content and not hungry. Plus with Shakeology you are getting all the vitamins and minerals, pro and prebiotics, digestive enzymes your body needs to truly meet the needs and not want any more. Take the time 1 day a week to plan out your meals. This is WEEK 1 in my 30 Days To A Healthy Lifestyle Change Program. Learning the importance of meal planning, how to do it and become proficient using daily action steps to reach your goals in my program workbook. 3) EXERCISING! No joke. And exercise early in the day so that you are driven the rest of the day to make better choices. When you exercise you tend to make better choices. This goes into the old "diet" way of thinking, "I'm exercisingI have to eat well." That is probably the one good way of thinking we have, even though we aren't dieting but making a lifestyle change. But think about it. When you exercise you are more prone to eat better for the rest of the day. 4) LIVE THE 80/20 RULE! If I don't have sweets at least once a week, I will go on a major binge fest and eat up all the sugar I can find, even straight up sugar you guys! Or when I go to the store I will automatically get a CRAP candy bar, or 2 or 3 and just devour them to get my "fix". Sugar is as addictive as heroin. I work through every day dealing with my sugar addiction. And if I let my guard down even just a little. I will give in to it and I don't want to anymore! Allow yourself 1 day a week to indulge in a treat, or salty foods or whatever it is you are craving. Know that you get 1 meal a week, GUILT FREE, to eat whatever you want to eat! GUILT FREE! One hamburger and dessert is not going to kill your results. It is the excessive eating of them that will. Also become a food snob. Thanks to Shakeology for upgrading my taste buds to only want the finer tasting things in life, most common sweets just don't do it for me. I go for the expensive stuff. For two reasons. I am less likely to buy it often because it costs more money and the other, because it is often made with better ingredients. Real ingredients. And not some lab created, empty calorie chemicals! 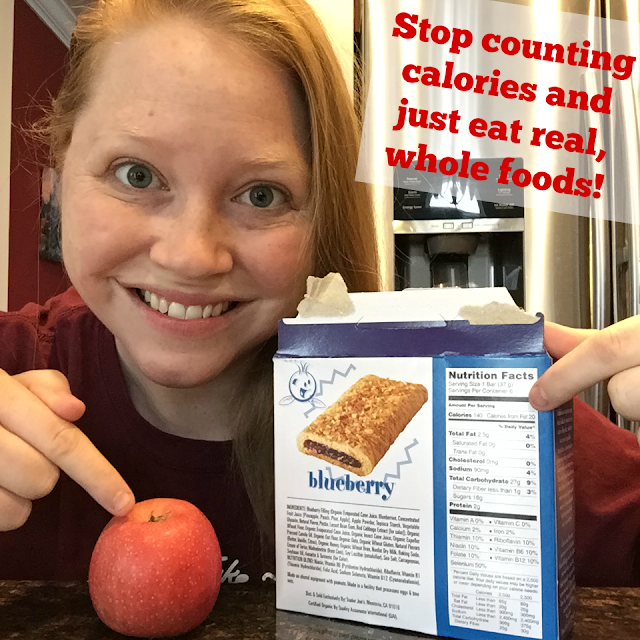 5) SWAP OUT YOUR CRAVINGS FOR HEALTHIER OPTIONS! Instead of grabbing a cookie swap it out for a healthy treat. Some ideas for swaps. Swap out a cookie and eat some grapes. They are the sweets, most easy to find cheap fruit you can get your hands on. Try them frozen too. They are yummy as a great treat to cool down with. Thinly sliced apple dipped in 1-2 tsp peanut butter. (melt the peanut butter and drizzle it over the apples, yum! Try organic carrots, they actually taste sweeter than regular carrots (IMHO). Make homemade kale chips with a sprinkle of pink Himalayan salt on them. Healthy and a little salty treat. Air popped popcorn (but remember portion sizes!) add seasoning instead of butter. What are some other healthy swaps you can think of. Comment below with you ideas to share with everyone! 6) TRY TO GET TO BED 1 HOUR EARLIER THAN YOU HAVE BEEN! This is easier said than done with kids sometimes. But I often find that I relish in the quietness of the house when the kids are sleeping in their beds and I just stay up too late. Getting to bed generally around 11pm. Even now as I am writing this it is 10:29pm. But getting to bed even just 30 minutes earlier means just a little more sleep for you! Remember, catching up on shows can wait. Cleaning your house, making it spotless can wait. Your sanity and healthy can not. In the end, you have to be steadfast in your decision to not give into sweets. Think about how they only gave you a few moments of bliss in your life, but then how you felt and how you are today. For me, I am a sugar addict. And if I give in too much at once, I'm a goner and it twice as hard next time to cut them out of my life again. And Remember, at some point in your journey, you will get there where they can be back in your house. Because they don't do it for you. You don't enjoy them. And they are treats for your hubs and kids. But not for you. Because you decided against it and you don't want to give in now. Be consistent. Be steadfast. And you will kick the cravings, even when you are exhausted! Stuck Trying To Lose Weight?